Why should we play trama gunz ? and how is it better then other gunz private servers? Trama GunZ will gonna be a very good server. Look at the staff... All pro. Theres only one fail staff..
umm, is that just one sentence with wretched spelling and grammar? lol sok ily. 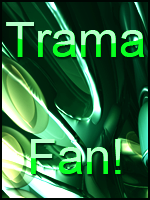 I think he means that, Trama and Drama are better than Mocro. Response: Umm, kinda, Mocro went a lil' crazy with the staff. BUT he is still a really good owner. I await with superfluous zeal to see how Drama and trama do as owners. Drama will do fine for sure, I don't know trama very wel though..
Well I'm looking forward to playing this new server, althought there are a lot of problems on mocro and no one really fixes them, but I guess that's something to look forward too.